Summer is finally approaching us in Michigan and even though many of us are looking forward to these warmer months, your water well may not be. There is a significant increase in water use during the summer. There are pool parities, watering your landscape, and even an increased amount of water being consumed to stay hydrated. Make sure you are maintaining your water well properly as you do not want to find your self without water on those hot summer days. Better yet, hire an St Clair county water well company to perform scheduled maintenance. Here are some reasons why you should proactively check up on the condition of your water – especially during summer. Water filters help make sure any harmful contaminants stay out of your water supply. And during the summer, as water use increases, your filter system may be in overdrive. This can increase the risk of contamination of metals, chemicals, minerals and bacteria leaving you and your family consuming these substances – perhaps without even being aware of it. Or these contaminants may be very present, giving off unpleasant odors. The best way to find out the condition of your water is to use a well water test kit and change your filters often. Hiring a St Clair County professional well driller can help you with these tasks and even set you up with a regularly scheduled maintenance program. Remember, the quality and safety of your water is not to be taken lightly. In fact, ignoring signs of water contamination can eventually pose certain health risks. If anything can put a damper on summer activities, it’s an unhealthy body or unclean water. Although severe droughts do not happen often in Michigan, an extreme lack of rain may result in your water level being too low for you to reach at times. 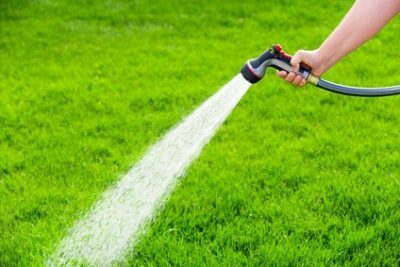 The best way to ensure that you have plenty of water throughout a dry summer is to be more conscious of your water use. Avoiding over-watering your lawn, limit the amount of pool use and other summer water activities. Alternatively, you can hire a St. Clair County well driller to lower your pump down to where there is more water. However, you will may need to get permits from your local government to do so. Also, the lower your pump is in the ground, the more minerals will be present in your water. It’s best to consult with a water well professional before making this type of decision. 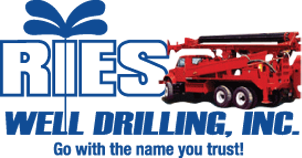 If you are ready to truly enjoy the Michigan summer with clean water that is free of contaminants, contact a water well driller that services St. Clair County such as Ries Well Drilling, Inc. to learn more about how you can improve the quality of your well water.